If you have been searching for luxury and comfort then imagine yourself enjoying this Alante on every trip. 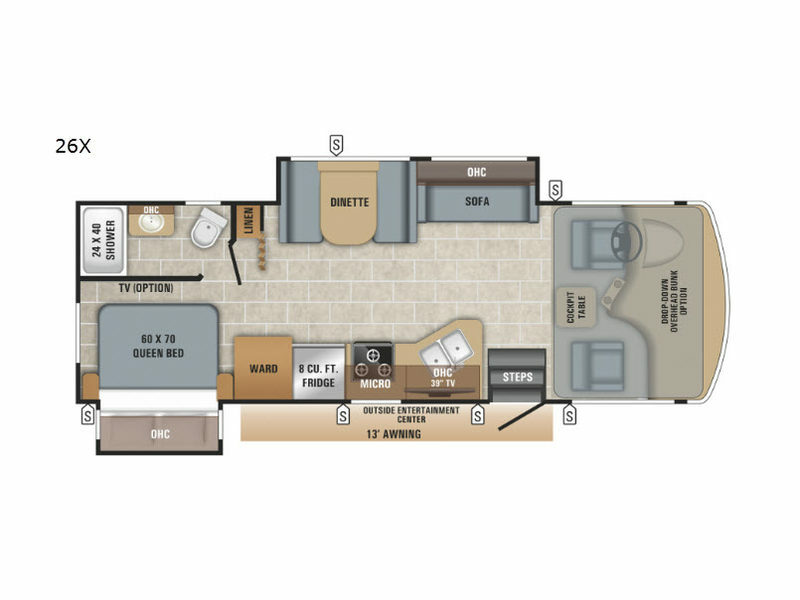 You will find plenty of floor space thanks to the two slide outs allowing you to move around the coach with ease. The comfortable Jayco-exclusive legless dinette table and sofa provide seating as well as extra sleeping space when the kids or grandkids tag along. And the walk-around queen size bed gives you a place to unwind after a fun day of exploring or shopping. You can even pull the curtain for privacy. The outside entertainment center with an LED TV mounted on a swivel bracket, the DVD/AM/FM radio and speakers, plus the awning offer an additional entertaining area outdoors. 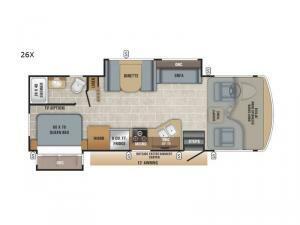 There are more features and options to choose from like the drop-down cab overhead bunk for more sleeping space. Step inside today!